Senate Bill 1271 is on its way to Governor Ducey for his signature. The Bill, which provides a comprehensive process to fairly and equitably resolve complex construction defect lawsuits is the culmination of more than two years of hard work by Home Builders and Subcontractors. What started out as a contentious and heated process evolved into thoughtful negotiations and sound public policy. 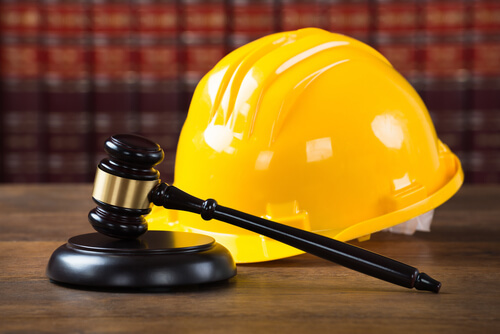 The bill addresses issues of “right to repair, apportioning liability for subcontractors and reducing incentives for frivolous claims. Click here to see the letter SAHBA and HBACA transmitted to the Governor outlining the merits of the bill. Read more about Senate 1271 bill here. #3 Doing Business with a Member? We Want to Hear From You! Just last week at the SAHBA mixer a member shared a story about doing business with the host, California Closets. It was a powerful testimonial. 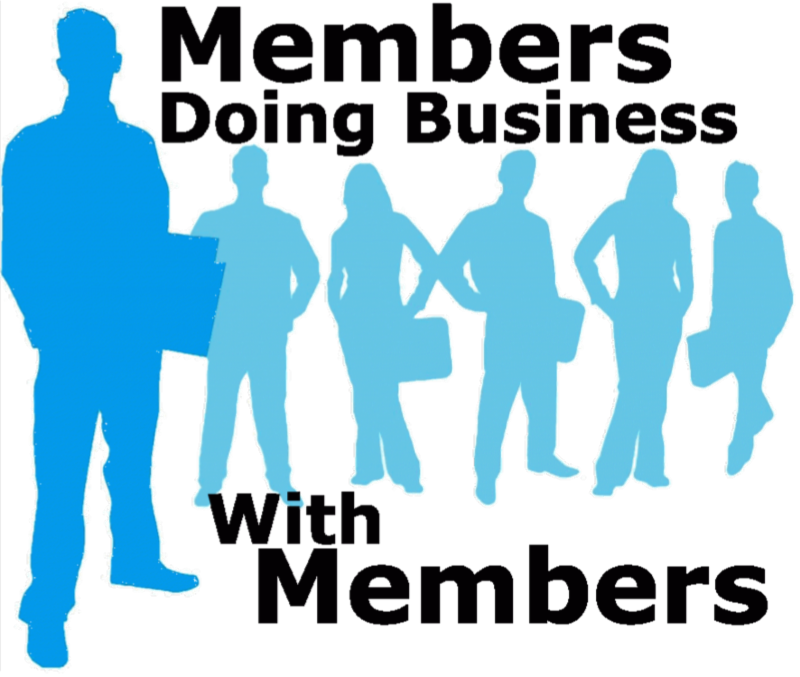 If you’re currently doing business with a fellow SAHBA member or have done so in the past, we’d like to hear about it. Not only is it important for members to do business with members but we also want to share those experiences with all of our other members. Let’s share and celebrate those success stories. 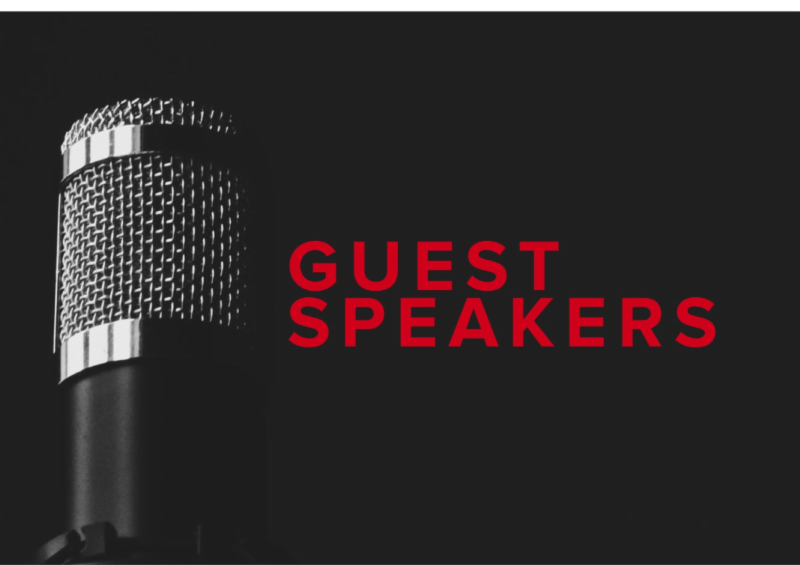 Derek will be presenting on how you can use energy planning, 3rd party verification, and "electricity bill" guarantees to help market and sell custom homes to potential clients. 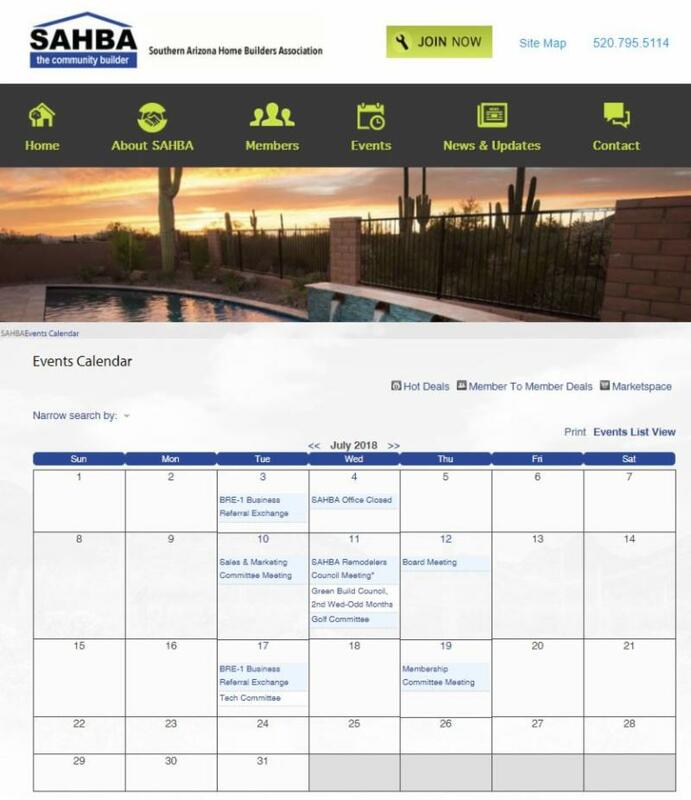 Diamond Ventures will be sharing their new custom (and customized) Builder Program in Stone Canyon and a Preferred Builder Program in Stone House. Volunteering at the Home Show is a great way to network and develop connections with dozens of potential business customers. 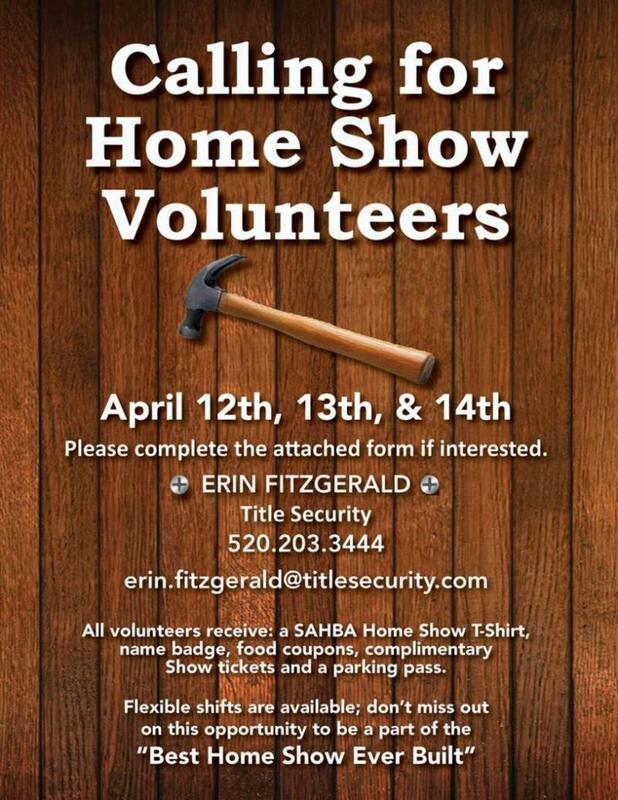 Opportunities are still available to volunteer at the SAHBA Home & Patio Show April 12-14th at the Tucson Convention Center. Volunteer shifts include free admission to the Home Show, food tickets and a volunteer t-shirt - not to mention the help you provide to SAHBA! If you are interested in volunteering you can click here for more details. 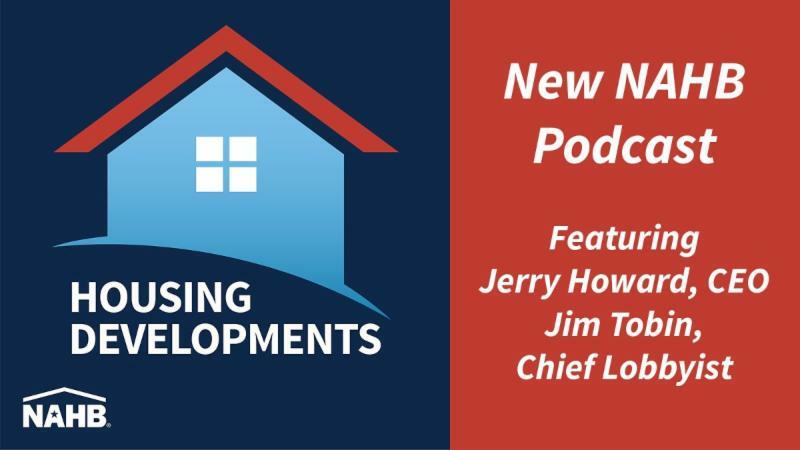 Ho using Developments is a podcast hosted by NAHB CEO Jerry Howard and NAHB Chief Lobbyist Jim Tobin. The two discuss the latest developments in housing and inside NAHB. Topics include housing affordability, housing economics, workforce development issues, the state of the residential construction industry and much more. Log in to your NAHB account and type "podast" in the search feature. Congratulations to SAHBA Member, Sandra Barton of Alliance Bank for being recognized as a Tucson Woman of Influence. 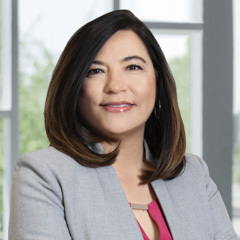 Barton is a senior vice president of commercial real estate for Alliance Bank of Arizona. She was named Financial Banking Champion during the annual awards celebrating Tucson’s best and brightest women. H ard work and the right equipment means roads get paved, animals get cared for, and houses get built. 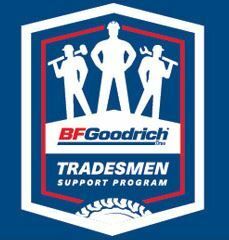 That's why BFGoodrich® Tires is rolling out the Tradesmen Support Program and partnering with the National Association of Home Builders - because downtime isn't an option when there's a job to do.